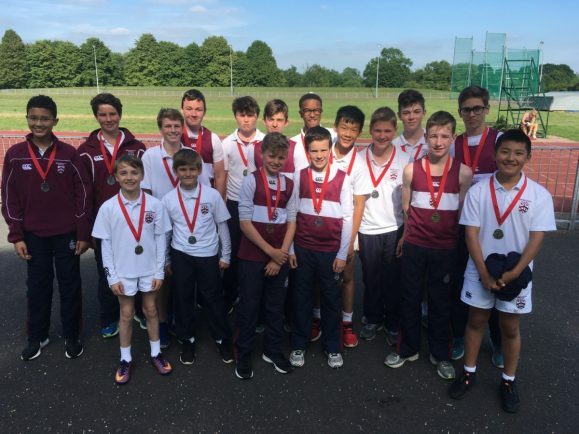 IT WAS a superb day for Bromsgrove School at the annual District Championships held in Redditch where they came away with 47 medals. Bromsgrove’s boys and girls shone at the tournament held at the Abbey Stadium last Wednesday. Gold medals for the Year 7 boys went to Joe McLoughlin (high jump), Daniel Vassell (75m hurdles), Hanli Yang (discus) and Sebastian Hall (javelin). There were silvers for McLoughlin (200m and 4x100m relay), Oliver Holden (shot put), Rufus Parker (javelin), Nicholas Hunt (discus) as well as Manobal Limbu, George Hastings and Kingsley Reid (all in the 4x100m relay). Finbar Dinnen (1,500m) came away with bronze. For the Year 8 boys, Callum Wilkinson (300m), William Hobbs (1,500m) and Louis Heptinstall (discuss) took home gold medals. Thomas Holroyd (800m and high jump) Frederick Hanson (triple jump) claimed silvers while Archie Greaves-Hall (triple jump) brought home the bronze. 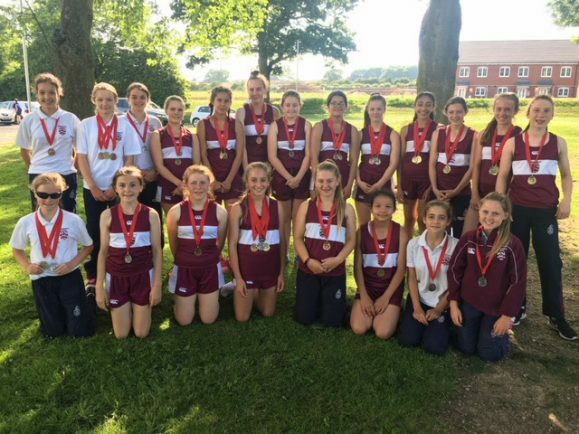 There was plenty of success for the girls too with students Angeline Sanghera (high jump and hurdles), Chloe Reijmer (300m), Charlotte Jones (800m), Lily-Mae wood (hurdles), Ella Kershaw-Crombie (long jump), Sophie Meadows (1,500m), Louise Osborne (discus), Lidia Belcuore (shot put) all claiming gold as well as the 4x100m Year 7 and 8 relay teams. Silver medals went to Freya Lawton (200m), Rosie Callaghan (high jump), Sophia Mills (hurdles), Lily Mae-Wood (discus), Ella Kenwood (1,500m), Ella Kershaw-Crombie (800m), Issy Rusling (shot put), Abigail barker (hurdles), Amellie Clare (javelin) and Chloe Reijmer (high jump). Meanwhile, Hatty Owen (800m), Amelia Rowe (long jump and 100m), Sophie Mills (long jump), Evie Kingston (high jump), Louise Osborne (800m), Tash Bahra (300m), Evie Derbyshire (javelin) and Jasmine Underwood (1,500m) walked away with bronze medals.